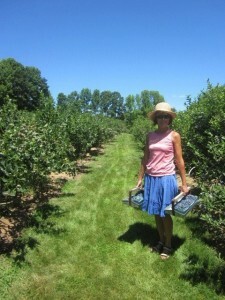 Hot and humid weather has not deterred blueberry pickers at Steep Hill Farm. We even had a family all the way from France visit us Wednesday. Very cool to host people from other countries, as well as people who are our neighbors. We will be open on Thursday from 8 A.M. to 7 P.M. for continued great blueberry picking.